One New-Orleans based website, Pelican Bomb, uses its online platform to support the local art community. The success of the ongoing Prospect 3 biennial is proof that visual artists in New Orleans are part of a vibrant and growing community. In recent years, local artists have been utilizing online platforms to expand the reach of their work beyond New Orleans. We talked with the operators of two of these online platforms, Pelican Bomb and Where Y’Art, about bridging the gap between the worlds of visual art and technology. Innovations reporter Janaya Williams talks with two groups that provide support for local artists on digital platforms. Tech and Innovation reporting on WWNO is supported by Bellwether Technology. To keep a better eye on head injuries in the past, the LSU football team has had concussion detectors installed in players’ helmets. 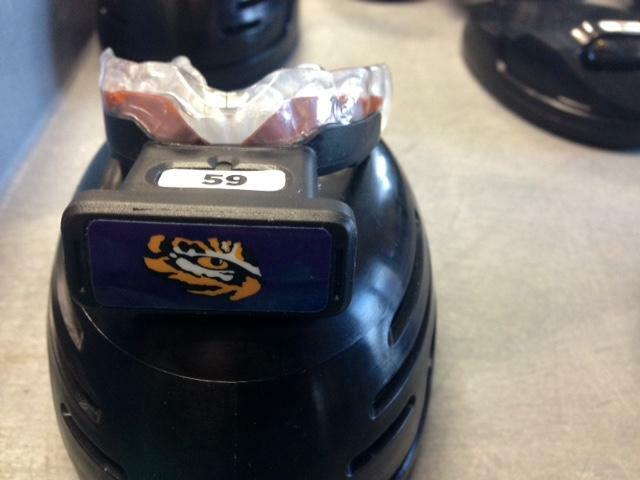 This season, LSU became the first team in the NCAA to try high-tech mouth guards to measure hits. Seventh and eighth graders participated in the very first UNO Space Day on Thursday. The event was co-hosted by NASA, Boeing Company, the National Center for Advanced Manufacturing (NCAM), and Jacobs Technology. This week, The Reading Life celebrates four years of being on the air. Our guests: Walter Isaacson, author of The Innovators: How a Group of Hackers, Geniuses and Geeks Created the Digital Revolution, and Laura Kelley, author of The Irish in New Orleans. In our continuing series showcasing P3+, the satellite program of the Prospect 3 New Orleans Biennial, highlighting this year’s art community, Sharon Litwin talks with artist Brandan Odums about his ambitious project transforming a blighted apartment complex on the West Bank into an extraordinary artistic statement. This cultural programming, featuring Prospect 3 plus work, is underwritten by the lawyers at the Lugenbuhl firm, with offices in New Orleans, Baton Rouge and Houston, in support of the arts of the Gulf South.